Reiki is hands on healing for your physical, emotional and energetic body. 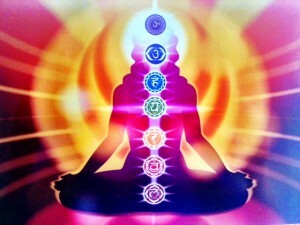 Reiki, The Universal Life Force energy, is channelled to heal where ever your body needs it. A Reiki treatment is considered the equivalent to 3 hours sleep, as a result you are left with a feeling of deep relaxation. Hands on healing is instinctive, we often will put our hands where a child has hurt themselves. When we feel pain our hands go to the area. During a treatment you might feel warmth, tingling or coldness as I place my hands on your different energy centres, your chakras. This is perfectly normal as just a sign that your body is drawing in the energy to heal yourself. You might even fall asleep, don’t worry this is normal and I am used to it! What ever you feel or do not feel you can be assured you are receiving the healing. Although even one Reiki treatment can make a difference, it is usually best to have a course of regular treatments. To get the most benefit I recommend three treatments over 3 consecutive weeks and followed by once a month if necessary. Each treatment is between 45 minutes to 1 hour long. I am also attuned to Angelic Multidimensional Healing which means I channel Angels to heal you in which ever way you need. It’s very similar to Reiki and is a beautiful energy to work with.